Home » Crafts, Sewing, & Home Decor » Sewing » You’re going to LOVE this!!!!! You’re going to LOVE this!!!!! I’m speechless. I can’t even believe that there is something this large being given away. You’re all going to love this. Oh, how I wish I could enter. Good grief…..I could put this to some good use. A ScrapMaBob, the perfect little addition to any work table. 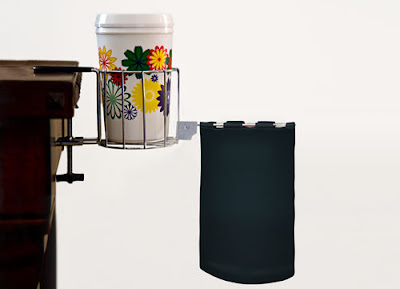 Attaches to the edge and holds your drink and all of the trash/debris that you acquire while crafting. 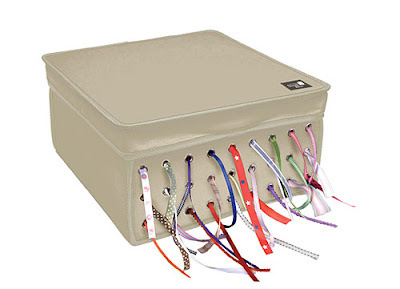 A Ribbon Box, which is that absolute perfect place to store all of your messy ribbon. Ahhh….finally. And then all of those 10 winners (one each from all 10 blogs) will be entered into the final drawing, where one of the 10 will be selected to win the Workbox on October 12th (even though they all just won their choice of a ScrapMaBob or a Ribbon Box). So if you’re a crafter, a seamstress, a scrapper, a quilter, or a hobbyist of any kind……..you are going to fall in love with the Workbox. So nice and neat……..and darn beautiful all hidden away. Also, this contest is open to residents of UK and EU countries as well as the United States and Canada. Also, The Original Scrapbox is offering a $100 off coupon for shipping on your next order, by using the code 100writes. How nice is that? Tweet about this contest with link backs here and share the code for $100 off shipping:100writes (copy and paste https://makeit-loveit.com/ right into the text box). Remember, a winner will be chosen on Saturday, October 10th and then the grand prize winner will be chosen on Monday, October 12th. I'm a fan of scrapbox on facebook!!! I follow your blog too!!! I LOVE the black beadboard scrapbox. My husband would love that my mess is cleaned up and put away somewhere!!! Oh, and the ribbon box is perfect!!! I Love the Workbox, in love that it comes in black too. I follow your blog. You have some GREAT ideas! I had seen this Workbox mentioned on another blog, I think it was, but for the life of me, I can't remember which blog. I fell in love with it right then and there, but it was soooo expensive! My favorite is definitely the Black Raised Panel Workbox! Thank you so much for the opportunity to win even one of these adorable pieces that would save my sanity, let alone the opportunity to win the Workbox! I think of the two pieces, I would choose the ScrapMaBob. The large box would help me soooo much. My daughter, her husband and her two little boys are living with us. It would be great to be able to have a place for all of my stuff, with a table, that can be closed so that my cute grand-boys can't get in to it all. I love the full size work box! Amazing, and would be so so useful. I have tons of scrap stuff, and craft stuff everywhere too. It'd be amazing. I'm already a follower of this blog, yipee! I became a fan on FB of The Original Scarpbox. FBed about the contest and linked, and gave the free code. I love the workbox with the black beadboard! oh my goodness! this thing is amazing, i have never seen it before! Twittered with link to your site, and did the code. I love the storage drawers because I always have little bits and pieces of material and ribbons left over and I want to separate them by color or pattern but usually they end up all jumbled in my shoebox!! I love workbox and know just the spot for it. Follow your site, like I said, LOVE it! Love your ideas. Love the Minibox, would make a great central work station. I just tweeted out about your site, this contest, and the $100 off shipping code! I love the natural wood workbox. I really need one of these but cannot afford it at this time. I'm a new Fan of the Workbox on Facebook! Added your blog to my Google Reader list!! Who wouldn't LOVE the workbox! That is every crafters dream! I really love the mini beadboard workbox. So Cool. And have your button on my blog! My favorite product is "The Workbox : Black Beadboard"
I love the black raised workbox! The workbox is perfect! I have been looking for a better way to store my scrap stuff (shoe boxes just aren't cutting it!) I really like the The Minibox. I Love the extra large cutting board! I sew and this would be awesome! Oh, I can't decide between the vanilla beadboard workbox or the vanilla raised panel workbox. Both are so beautiful! And they sure would solve my "mess" of a craft table. I posted a status message on Facebook about the contest! i definitely like the workbox in vanilla beadboard! wow! I love the black beadboard workbox. This is one of the most amazing things I've seen! Amazing! I love the black raised panel workbox. What a fabulous idea. I would love to hide away my STUFF instead of it always showing. I have wanted the ez view dest for ages!!!! Added the phrase for the code, and how I much I love the half cabinet too. i'm a facebook fan of the scrapbox. I love that thing..its amazing, beautiful and practical all in one. I also follow your blog. Thanks for having this giveaway. I want the black raised panel one…This is incredible and brilliant! I love the vanilla beadboard design of the workbox. Oh how I desperately need this product! I really love the work box but I think my fav item from their site would be the mini box prefect for an even smaller space since you can use the top for a table! Although I would love the workbox- The Ribbon holder would come in handy. The ones I have seen elsewhere only hold 10 ribbon or so. Who only uses 10 ribbon??? Blogged about it for 1 of 10 extra entries! Blogged about it for 2 of 10 extra entries! Blogged about it for 3 of 10 extra entries! I am already a follower of make it and love it! Blogged about it for 4 of 10 extra entries! Blogged about it for 5 of 10 extra entries! Blogged about it for 6 of 10 extra entries! and i blogged about it. Blogged about it for 7 of 10 extra entries!